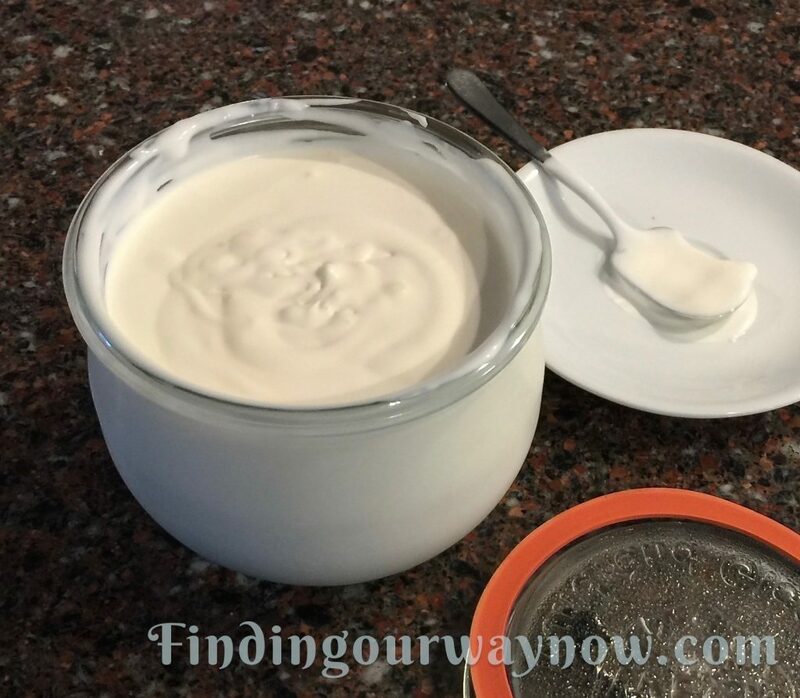 Why Homemade Crème Fraiche? There are two reasons; it can be difficult to find, and when I do, it’s often quite expensive. Making my own solves both problems. For a bit of history; Crème Fraiche originated in Normandy France and is a favorite form of a thick cream for cooking throughout France. It’s now found in other parts of the world under similar names. Crème Fraiche is a thick, rich, custard-like cream. With more body and complex flavors, with hints of hazelnuts with a bit of tang not found in heavy cream. The beauty of this simple recipe is it thickens without curdling while developing on the countertop at room temperature. 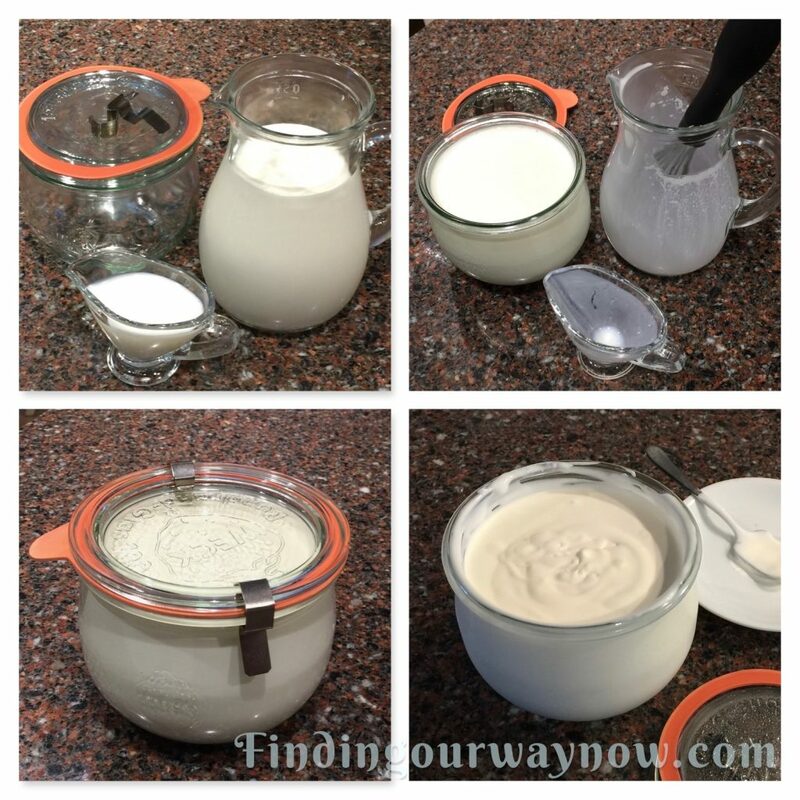 Combine the buttermilk and cream and pour into a clean sterilized glass jar with a lid. Cover and let stand at room temperature for 8 to 24 hours, or until it reaches the desired thickness. Stir and refrigerate for at least 24 hours before using. The Crème Fraiche will keep refrigerated for about two weeks. Notes: Always use fresh cream and buttermilk. Check the expiration date to make sure. You can use more buttermilk if you prefer your version with more tang. I find the ratios I used to be well balanced. You can leave it covered at room temperature for up to 24 hours to increase its thickness. My preference is around 16 to 18 hours. Uses: There are so many ways to use Crème Fraiche. Below are just a few suggestions. It’s good to remember that a little goes a long way. Dessert Topping: Sweetened to taste and/or whipped. If desired, flavor with a bit of lemon juice, orange juice, or vanilla extract. 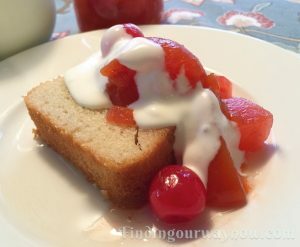 Serve with or over pound cake, puddings, fresh fruit etc. Fresh Herbed Cream Sauce: Blend ½ cup Crème Fraiche with 1 teaspoon each of finely sliced chives, finely chopped fresh tarragon, ¼ teaspoon finely chopped shallots and a ¼ teaspoon lemon juice and salt and pepper to taste. This is good served with grilled, baked or poached fish or seafood. (Herbs can be pureed and then stirred into the Crème Fraiche for a beautiful pale green sauce). Soups: Add a dollop of Crème Fraiche to the soup, or as a garnish. There you have it, an easy peasy homemade Crème Fraiche. Because it has so many uses and it’s so versatile, why not make a batch for all the reasons mentioned above. Now I’m off to making my Rumtopf, better known as Tutti Frutti or Branded Fruit. Copyright © 2019 Finding Our Way Now. Powered by WordPress. Site maintained by David Sutoyo.